A FEW minutes "skylarking around the shearing shed" has resulted in Jacqui Bateman receiving worldwide praise. 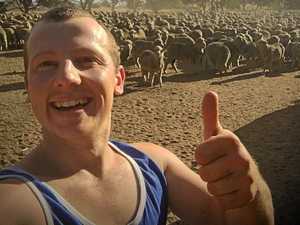 The South Australian prime lamb farmer, and rural photographer, made headlines last year when she posted an image of Daniel Telfer, completely naked, while shearing a sheep. But it's the meaning Jacqui attached to the picture that has seen her win an international journalism award. The picture was posted in March 2016 in response to the People for the Ethical Treatment of Animals' campaign against the wool industry, which featured a naked model cradling a bloody and bruised lamb with the slogan: "Wool: The Naked Truth". Using her quick wit and sharp humour, Jacqui quashed PETA's fake image in a single social-media swoop. Her picture, called The Naked Gun - Wool the Naked Truth, juxtaposed against Peta's ad went viral and was soon picked up by media across Australia (including the Rural Weekly) and around the world. The image also won the People section in the 2017 Australian Council of Agricultural Journalists Rural Photography Awards, and was later announced a winner at the 2017 International Federation of Agricultural Journalists Awards, which were held in South Africa. "It's quite surreal to think an image that I had taken during a couple of minutes skylarking around the shearing sheds could go on to win a global award - it's hard to believe," she said. "But I am pretty stoked about it, mind you." Although Daniel's choice to shear the sheep in the raw was spontaneous (he said he did it just for a laugh), Jacqui's photo wasn't a lucky shot. Years of working with the camera meant she was prepared to adjust her settings, position herself so no "jiggly bits" were in the frame and capture the action shot in its full glory. 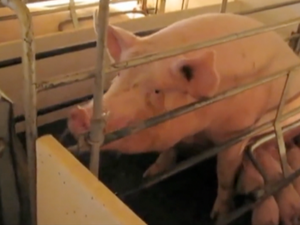 Her timing for posting the image was impeccable, as it quickly changed the conversation around PETA's campaign. She is proud to be a farmer and considers herself an "ag-vocate". "There was a group of producers who got together on social media after the live export ban," she said. "We were quite proactive then in promoting agriculture, and trying to discredit the untruths being told about agriculture. "So I feel the (Naked Gun photo) is just a continuation of that." Jacqui feels she is not alone in standing up to the falsehoods being peddled by animal activism groups. "There is a change happening where farmers are perhaps becoming a little bit more aware and more adept at social media," she said. 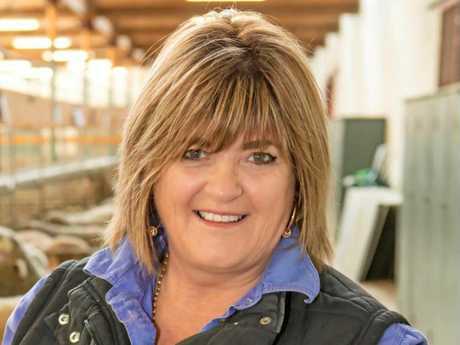 "I think before farmers just worked on their own, and didn't take too much notice of outside influences, just getting on with the running of their businesses. "I would say we are now more willing to engage. More willing to stand up and say, 'hey, that's not right, this is how it is'." Jacqui's fierce passion for the land shines through with her photos. As the daughter of a farm machinery dealer it was only natural she ended up marrying a primary producer, husband Richard. Two kids later, when her role on the property, which sometimes included classing their clip, became restricted with motherhood she picked up a camera. She had an eye for photos straight away, but it took her much time, trial and error to master the finer details of her craft - for years, photography was just a "very expensive hobby". As Jacqui developed her own style the demand for her work began to grow. About 15 years ago she started her own photography business. Her rural community at the Limestone Coast, which is situated in the south-east of South Australia, has become her muse. About 50% of her time is spent freelancing for agriculture publication the Stock Journal and the rest is dedicated to portraiture, family shoots, the occasional wedding and her artistic projects. In the past, Jacqui was squeezing photoshoots around farm work but her business has become a bigger priority. On occasions Richard downs tools to come with Jacqui on jobs, working as her driver and proof reading her accompanying articles at night. Her latest venture, Legacy of the Land, combines her photography with her love of storytelling. "So it's a snapshot of farming businesses," she said. "It showcases their production, which might be animals or cropping, and the people on their farms, whether that be their family or workers and the environment in which they farm. Every aspect of their business is covered. "It is everchanging on the land. Over generations things change. So I am trying to document their time on the land in an artistic way, so a legacy can be left for future generations." Recently, Jacqui captured a family's stud dispersal sale. "They had spent the last 30 years developing their angus stud - it took them years to get where they were," she said. "I was thinking to myself, 'after all of the years of work, it will be all gone in one day'. So I asked them if I could come along. I spent a few days there, photographed all their stock, their family, their beautiful landscapes and I went to their sale day. "They might not have anything left of it now, but they will always have this beautiful album of memories of what they have worked so hard for."